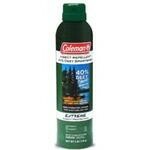 Coleman Brand Insect Repellent with 40% Deet provides Extreme 8 hour insect repellent protection with one application. Repels mosquitoes,gnats,chiggers,black flies, and fleas. Protects against carriers of West Nile Virus. 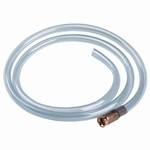 Long lasting, unscented and resists perspiration. 6 OZ. aerosol can provides maximum protection for all outdoor activites.